Lock in a great price for La Perla Villas and Suites - Adults Only – rated 9.4 by recent guests! One of a kind experience. From the room to the view to the staff to the recommendations of places to go and things to do La Perla made our stay in Santorini absolutely unforgettable I only wish we could’ve stayed longer. This place is amazing. The view from our balcony is breathtaking. The staff were so friendly and are always ready to assist us. The breakfast meal is great and they serve it right on time. Our room and the whole Villa is soo clean. Thank you so much for making our stay inOia so memorable. The view was amazing. The people were incredibly friendly and helpful. Great staff! Room is immaculate! 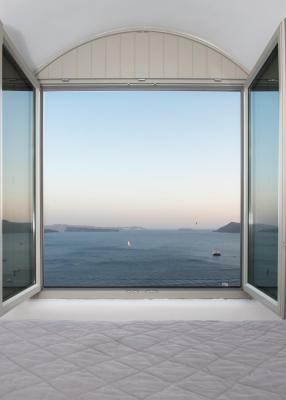 Unobstructed view of the Aegean Sea!. Steps away from the Oia Village! This property will not disappoint! Everything! The views, breakfast, the pool, the staff, the room, and the kittens! The view was absolutely amazing, the room was beautiful & neat, and the staff and management were friendly and accommodating, what more can you ask for! View was amazing, the staff was great, and I can't wait to visit again! La Perla Villas and Suites - Adults Only This rating is a reflection of how the property compares to the industry standard when it comes to price, facilities and services available. It's based on a self-evaluation by the property. Use this rating to help choose your stay! 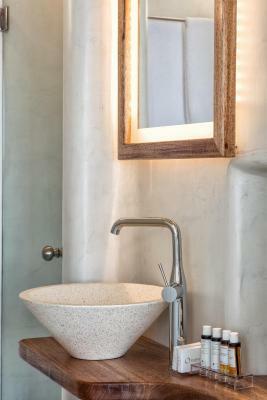 One of our best sellers in Oia! 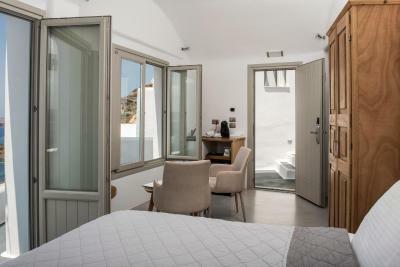 La Perla Villas and Suites - Adults Only is a cluster of cave houses in the heart of the Caldera, in Oia, offering panoramic views of the seas and the Oia coastline. 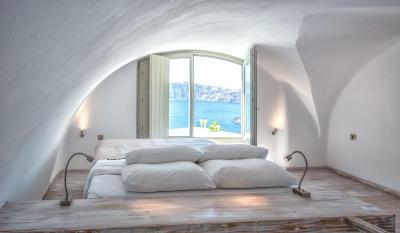 Rooms are built and decorated in the simple, traditional style of the island. Some rooms include seating areas and fully equipped kitchens. 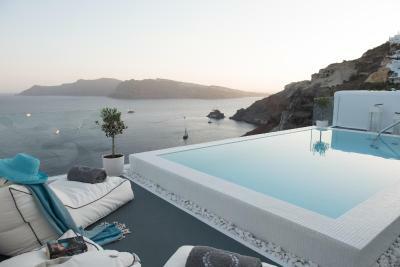 There is an outdoor swimming pool with a terrace that opens to sea views. La Perla Villas and Suites - Adults Only is within a walking distance from shops and restaurants of the area. Fira, the center of Santorini is 6.2 mi away, the airport is at 12 mi and Athinios port is at 15 mi. Baxedes Beach is 1.2 mi away, and Armeni Beach is a 20-minute walk. This is our guests' favorite part of Oia, according to independent reviews. 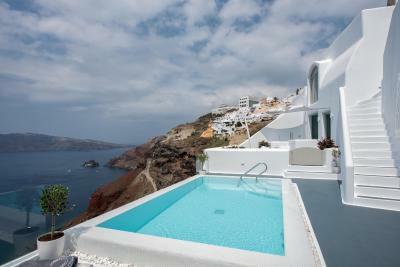 This property also has one of the top-rated locations in Oia! Guests are happier about it compared to other properties in the area. When would you like to stay at La Perla Villas and Suites - Adults Only? 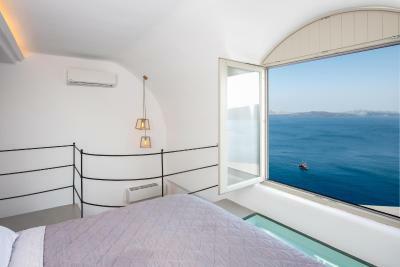 Fitted with a spa tub or a shower with hydro-massage facilities, this Cycladic-style, air-conditioned room opens to a private terrace with Caldera and volcano views. 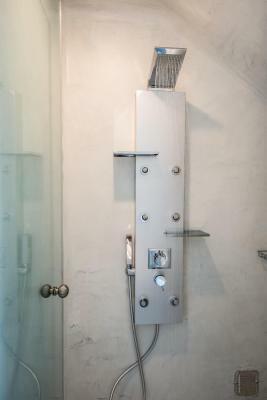 It features a sitting area with satellite TV and a bathroom with free amenities, bathrobes and slippers. Free Wi-Fi is provided. 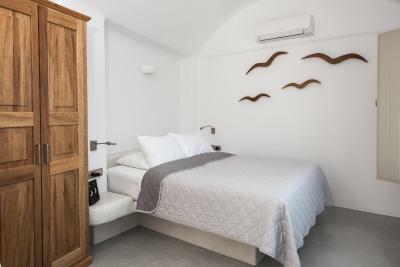 Fitted with an outdoor hot tub and a patio with view of the Caldera and the volcano, this air-conditioned suite is split level and has a flat-screen, satellite TV. It consists of a master bedroom, a separate living room and a kitchenette with mini fridge. Free toiletries, bathrobes and slippers are included. Free Wi-Fi is provided. 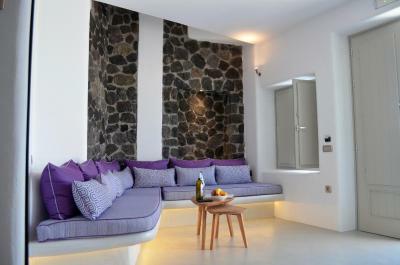 Suite with large private porch with view of the Caldera and the volcano. It has 2 bedrooms, separate spacious living room with dining area. 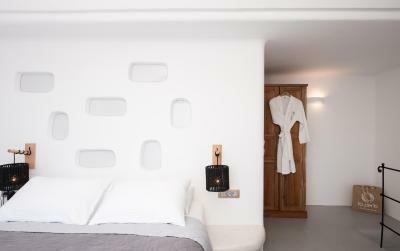 Cycladic style air-conditioned room comes equipped with satellite TV, bathroom with bathtub or shower, free amenities, bathrobes and slippers. 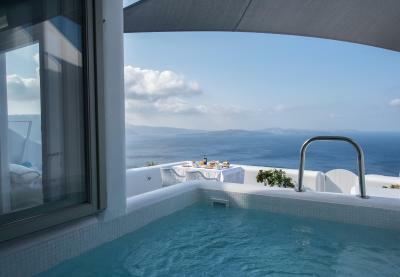 Featuring a private terrace with a hot tub, this villa enjoys views of the Volcano and the Aegean Sea. It has a separate living area and a kitchenette. Free Wi-Fi is provided. 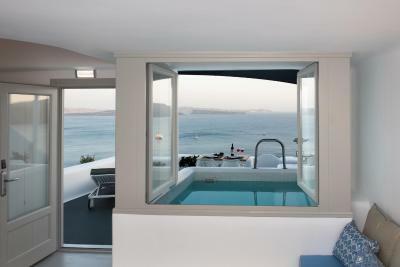 This 2-bedroom suite has a spacious terrace with an outdoor hot tub and views of the Volcano and the Aegean Sea. It has a separate living area and a kitchenette. Free Wi-Fi is provided. 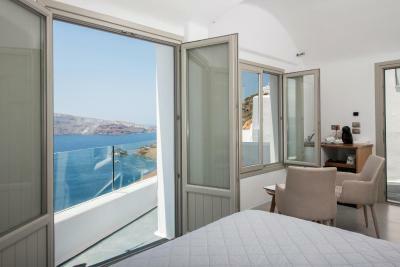 This deluxe suite opens to a terrace with a private pool and views over the Caldera, the Volcano and the Aegean Sea. 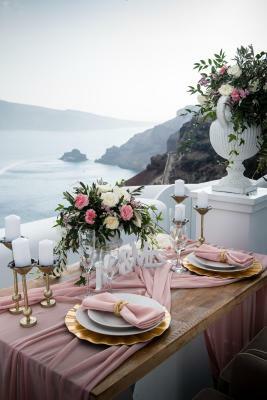 Located in the heart of Oia, down the steps of the beautiful Caldera, La Perla Villas & Suites features unobstructed views of the Volcano, the rest of the caldera and of course the gorgeous waters of the Aegean Sea. From all the common areas as well as all guests rooms, the views cannot be topped. House Rules La Perla Villas and Suites - Adults Only takes special requests – add in the next step! 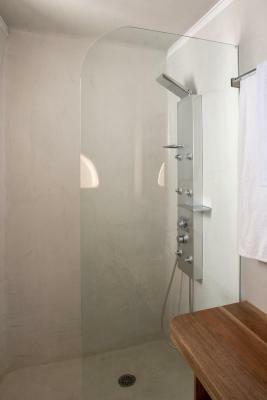 Any additional adults are charged EUR 140 per night for extra beds. La Perla Villas and Suites - Adults Only accepts these cards and reserves the right to temporarily hold an amount prior to arrival. Please note that this property participates in the Greek breakfast initiative of the Hellenic Chamber of Hotels. Please inform La Perla Villas and Suites - Adults Only of your expected arrival time in advance. You can use the Special Requests box when booking, or contact the property directly using the contact details in your confirmation. Nothing, everything in the hotel was just right! The staff were fantastic especially Dimi and Cristina in Reception. The room was perfect and the views were breathtaking. Will definitely recommend to all and hope to come back again. Well, the staff are awesome. They did a very good job, helped bringing our luggages. We stayed 2 nights then moved to another hotel and the La Perla staff really helpful, they helped us to contact our next hotel staff. The breakfast got cold quickly as it had to be delivered to the room. There was a coffee machine in the room but no tea, it would be better to have a kettle. The staff, location and views were fantastic. The service was absolutely fantastic! We were looked after from start to finish. The view from the suite was breathtaking, this is the perfect place to stay for a romantic break or honeymoon. The breakfast was also a highlight, so much choice and the quality was excellent! This was our second time staying at La Perla. After being here for our honeymoon in 2006, we were so happy to return and experience the significant changes that have been made since that time (new room decor, better mattresses, a bar near the pool). It is an exceptional property with gorgeous views, delicious breakfasts, generous amenities and incredibly friendly and helpful staff. We felt well cared-for and didn't want to leave. We will return again as often as we can. We highly recommend you stay at La Perla! If I had to fault it it would be for lack of storage for luggage/clothes/toiletries. But it’s not a major issue and I can put up with that for a slice of heaven. Location, view, pool. Poolside and outside furniture are amazing. We always managed to get a lounge poolside even though it was fully booked. Loved breakfast outside with a view. It’s so peaceful. Nice cave room with balcony. 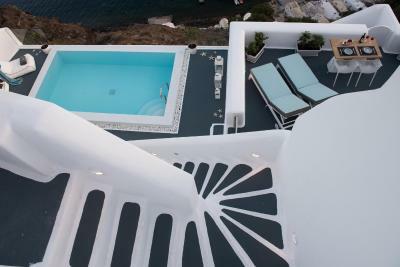 Hot tub, breakfast, everything is great when you stay in Oia. Perfect hotel for vacation.